The American Quarter Horse Association is not only the greatest American authority on quarter horses, it’s also the world’s when it comes to this beautiful breed. This faster-than-lightning American horse is world famous for its performances in horse racing competitions. So it’s only natural that it has its own official association that takes care to preserve its legacy. We’re here with a complete guide to that association. We’re going to talk a bit about its history, about its competitions, and about the horses in its records. We would also offer a guide to those of our readers that would like to enter their own American Quarter horses in these records. The AQHA (American Quarter Horse Association) doesn’t have such strict rules as to accept only purebred horses into their ranks. They also take in horses that are half Quarter horse and a registered Thoroughbred. For a breed with such a long history, it’s strange that this association is relatively new. The American Quarter horse was first mentioned somewhere in the 17th century when someone had the idea of breeding the famous Thoroughbred with Native American horses like the Chickasaw. The Chickasaw itself was far from being homed in the American land, as its own ancestors were taken from the Spanish. Among these, it’s important that we mention the Arabian, Iberian, and Barb horse breeds. 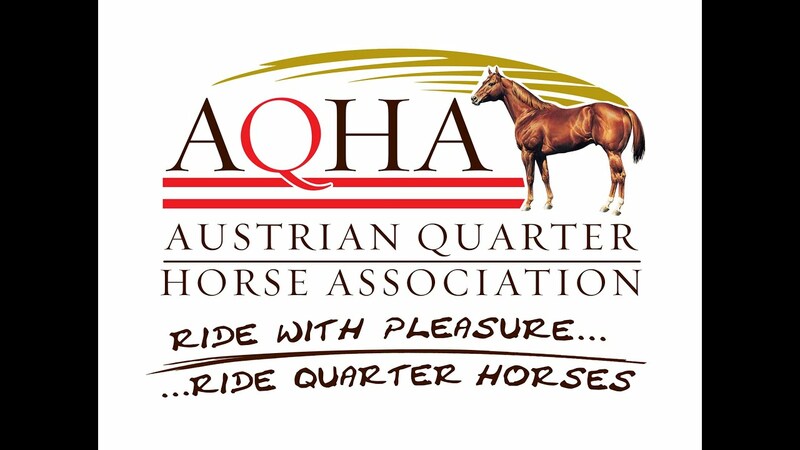 The American Quarter Horse Association began only in 1940. To be precise, it was on a lukewarm day in March that a group of horse-loving friends met and decided that it was their destiny to form the AQHA. Of the 75 people that gathered in Fort Worth, Texas on that fruitful day, about 36 stayed and pitched in to buy the stock at the newly formed non-profit association. The AQHA was criticized at first for its strict admittance policies. The result was the creation of the AQRA, a separate institution from the American Quarter Horse Association which substituted the H from Horse with an R for racing. This division was occupied with providing assistance to owners wishing to register their horses into competitions. It also provided a rulebook by which horses would be admitted into the AQRA index. This was also when the Register of Merit was added, which when awarded to crossbreeds between Quarters and Thoroughbreds prompted their inclusion in the main index. Lastly, another institution (the NQHBA) was created in order to allow more crossbreeds into its ranks. Soon enough, the AQHA realized its policies as being a little rigid and negotiated separate mergers with both these associations. The deal was done by November 1949, when the American Quarter Horse Association also decided to move its headquarters into Amarillo, Texas. The AQHA recognizes its member horses throughout a variety of horse competitions. Of course, they provide rewards for members that compete in racing events, but they also give their rewards to horses competing in horse shows, rodeos, as well as horse jumping competitions. One thing that makes the American Quarter Horse Association stand out among other non-profit equine associations is its acceptance and recognition of pleasure riders. They have a system in place that allows riders to track the time and distance spent on their favorite American quarter horse. This way, at the end of the year, the rider and the horse will receive a mention and will be awarded points in the AQHA ranks. State Rookie of the Year, Justin Boots Award. This award is given to the rookie with the most points within a state in a single year. Rookies are horses within the Youth and Amateur divisions. Rookie of the Year, Justin Boots Award. This award is given to the rookie with the most points of all the nation in a single year. A horse having won this will also have secured the State Rookie of the Year. Year End, High Point Horse Award. This is a yearly award given to the horse with the biggest number of points in a specific event. Year End, All Around High Point Horse Award. Another yearly award, this one goes to horses which have scored the biggest numbers in both two events and in halter. Any offspring of registered American Quarter Horses are registered in the official American Quarter Horse Association stud book. Any crossbreed between a registered American quarter horse and a registered Thoroughbred is entered in the Appendix of the AQHA stud book. Any offspring of said crossbreed is also entered in the Appendix. Any horse that has been produced through artificial insemination or embryo transfer. While other horse associations may have slight problems with horses that have not been produced naturally, the AQHA has absolutely nothing against these and will enter them, no questions asked. Any unregistered crossbreed is not allowed. If either parent of the crossbreed of a Quarter and a Thoroughbred is not registered, the resulting offspring will have difficulty being entered even in the Appendix of the AQHA. Any cloned horse. Cloning horses, while being an incredible scientific feat, is a no-no when it comes to inclusion in the American Quarter Horse Association. Any horse carrying dominant HYPP genes. The Hyperkalemic Periodic Paralysis carrying horses will not be admitted. The condition can seriously affect the offspring and is, therefore, dangerous as many breeders resort to the logs of the AQHA for males or mares. It’s important to note that the American Quarter Horse Association pedigree does not prevent the horses entered in its stud book from being entered in the American Paint horse association. Horses that have both memberships can dramatically rise in value. The American Quarter Horse Association, while having an early history of rigid conservatism, is now very open to crossbreeds that meet their minimal requirements. Membership in the AQHA also has many benefits for breeders as well as for professional racers. More about this here. This concludes our complete guide to the American Quarter Horse Association. For more info, check out their website. If you happen to have any questions, don’t hesitate to leave them here in the comments section.